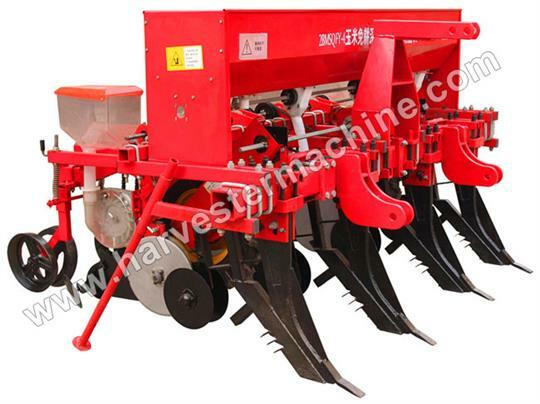 The fertilizer spreader is mainly used to apply base fertilizer before tillage,sow seeds after tillage and spread seeds and manure, limestone, chemical or organic fertilizers in grassland and ranch.It has advantages of compact structure,wide range of applying,high productivity,even broadcast sowing and so on. By Shandong Tiansheng Machinery Co., Ltd. based in Shandong, CHINA. It is adjusted on the tractor with three point hook system and generally used tor seed preparation. Performs the tillage, minimum tillage or conventional sowing of wheat, oats, barley, rye, rice and other irrigated or rainfed fine grains; distinguished by its high strength, more uniform distribution of fertilizers and seeds and greater wheel articulation driving. By Marchesan S/A based in MATÃO, BRAZIL. 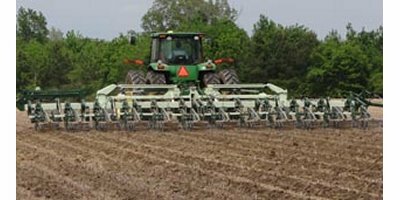 The DOMINATOR Primary Tillage System is changing fall tillage. This exciting new concept eliminates stalk shredding and extra seed bed preparation trips. By managing residue in the fall and leaving a more level fall seed bed condition, the DOMINATOR sets the stage for fast efficient spring seedbed trips and maximum yields. Agrital's power harrows are the best solution to prepare your field before seeding (fine tillage). By Agrital Farm Machinery Pvt. Ltd based in Chennai, INDIA. The Strip Cat is fully adjustable to your field conditions. Available in a 3PH or Trailed version the Strip Cat can be set up for either liquid or dry fertilizer application allowing an all in one tilling, seeding, and fertilizing solution. 72' wide all-in-one unit. Optional kits allow this cultipacker to be mounted to an ATV/UTV or tractor, all within a matter of minutes. Simply pin to the hitch on an ATV/UTV or 3-point mount to a tractor. Great tool for providing the proper seed to soil contact. That translates to faster more dependable seed germination. Built for versatility, Haybuster’s 77C (7 feet) and 107C (10 feet) All Purpose drills can be used in no till, minimum till, conventional tillage, reclamation and for pasture rennovation. They are drills for all purposes in a convenient easy to use package. Now with heavy-duty cast linkages for even more durability. The Mzuri PRO-TIL one-pass strip tillage drills cultivate a uniform till and place the seed at a controlled depth providing the ideal soil environment for each seed to germinate quickly and grow to achieve its full potential. By Mzuri Ltd based in Worcestershire, UNITED KINGDOM. The Mzuri PRO-TIL sub surface strip tillage drill cultivates a uniform till and places the seed at a controlled depth providing the ideal soil environment for each seed to germinate quickly and grow to achieve its full potential. Save time: Optimize your seeding time, doing two operations in one pass. Soil preservation: Diminish soil compaction with the best front and rear balancing of your tractor.